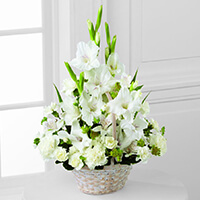 Anna Corsaro Service Details - Toronto, Ontario | DeMarco Funeral Home (Keele Chapel) Inc.
"Our deepest condolences from Deo and Rosa, Domenic and Christine, Sabrina and Mike"
It is with great sadness that we announce the passing of our dear Anna Corsaro. Beloved wife of the late Nicola Corsaro. Loving mother of Lina(Bruno) and Tina(Danny). Cherished Grandma to Amanda, Matthew(Sarah), and Great-Grandma to Lucy and Eddie. Anna will be sadly missed and fondly remembered by all her extended family and friends. 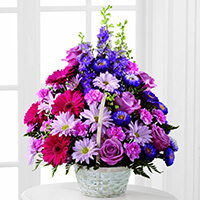 In lieu of flowers, donations to The Sunnybrook Hospital Foundation-Trauma, Emergency and Critical Care, or the Heart & Stroke Foundation would be appreciated by the family. 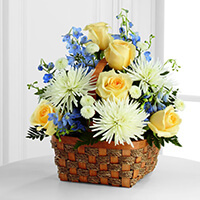 To send flowers to the family of Anna Corsaro, please visit our Heartfelt Sympathies Store. To Tina and all of your family, I am very sorry for your loss. Dear Anna's family, Assunta and I send our deepest condolences on the passing of your mom. We were so shocked to receive the terrible news this week. We had such an enjoyable afternoon at her new home just last week and we had planned to get together again before Christmas. She was so lovely...Rest in Peace. Our deepest sympathy are with your family. Hopefully you find peace knowing Anna is in a better place. Our deepest sympathies and thoughts are with you and your family. From: Bryan Baker, Barry Graves, Gabby Pulcini, Poppy Bleau, Brian Frade and everyone from Bay Adelaide Branch.